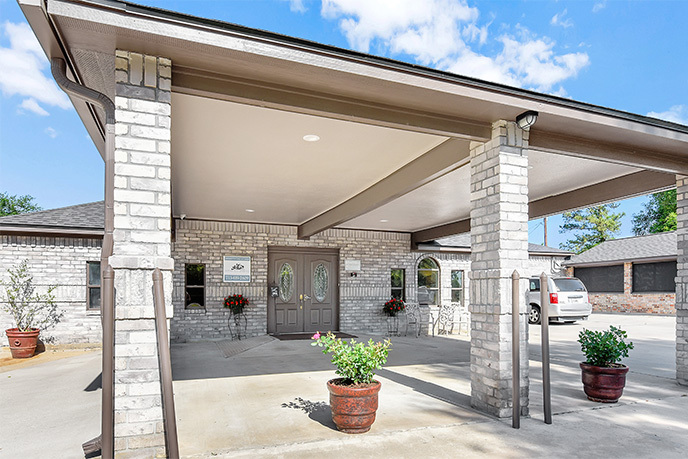 Located on Longstreet Drive off FM 1097 near Bentwater, can accommodate sixteen residents with 24/7 assisted living care. This beautifully remodeled home features a large multi-purpose room for private dining or group activities and a spacious, open kitchen that looks out on the den. With both private bedrooms and shared bedrooms, the cottage provides a safe and welcoming environment for those needing a wide range of care. Residents enjoy home-cooked meals, social and therapeutic activities, as well as on-site physician services, home care and hospice.